See also my Sermon for St. Patrick’s Day. The above-mentioned sermon is a meditation on randomness and page numbers, focusing on page 265 in particular. “Datura is a delusional drug rather than a hallucinatory one. You don’t see patterns, trails, or any cool visual effects; you just actually believe in things that aren’t there…. I remember holding a glass for a while–but when I raised it to my mouth to take a drink, my fingers closed around nothingness because there was no glass there…. 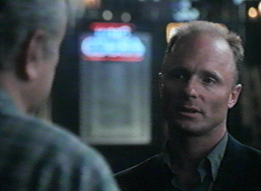 For those who don’t need AA, perhaps the offer of Ed Harris in the classic study of gangs of New York, “State of Grace,” is an offer of somewhat safer holiday cheer that should not be refused.